So I am sitting at my desk eating the leftover chicken soup (which might be better today than Sunday) and I realized I did not include how to make the homemade egg noodles! I am assuming most people don’t want to take the time to do this, but if you are feeling adventurous and want to join me in this creative cooking adventure then I challenge you to try! I did not have my own recipe for these, so I did a lot of research and came up with my own recipe (hence why I was so nervous about the outcome!) I think these are some of the best egg noodles I have ever had (not trying to brag) so I hope you try them and like them as much as I have! Add flour to a large mixing bowl. With your hands make an opening in the center and add the eggs. Add milk (1 half egg-shell full). Mix with a fork. Add 2 tbsp water and mix. Once it begins to form together add 2 more half egg shells full of milk. Continue forming into a ball with your hands. Once dough is sticky, add extra flour over a large surface and roll out dough until paper-thin (can be thicker if you prefer). 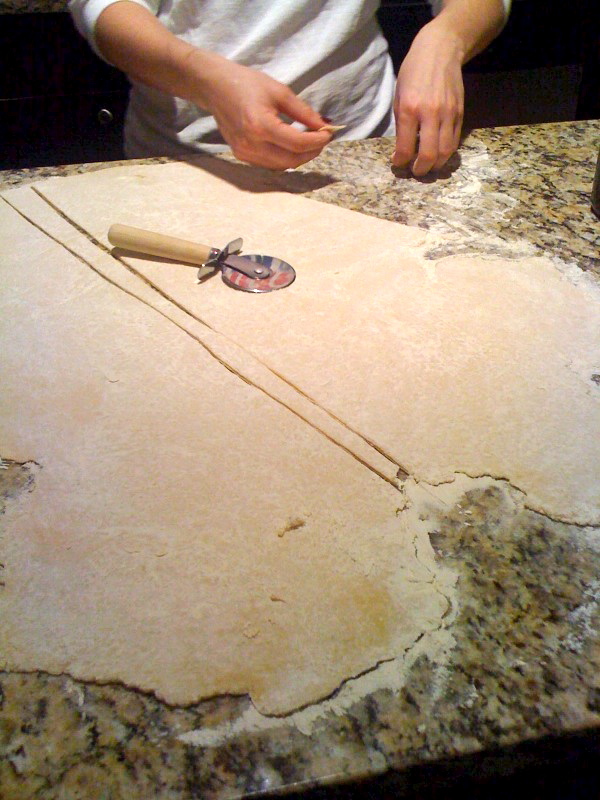 Once dough is rolled out thin enough, cut into noodle strips! All of my noodles were different sizes, but you can cut however you prefer. I layered the noodles on a tray with wax paper between each layer and left in the freezer until they were ready to be added to the broth! Cook until tender and enjoy!